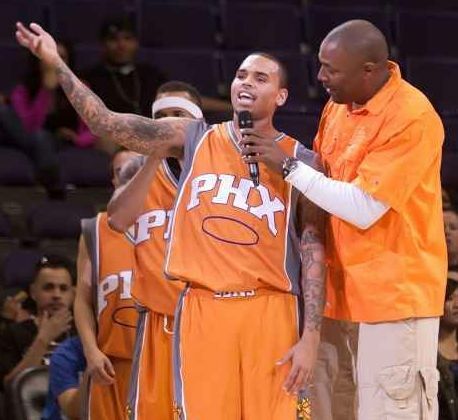 We've talked quite a deal about ballplayers wanting to be musicians/rappers/entertainers and how some have done it with success. Now let's talk about those musicians/rappers/entertainers that want to be ballplayers. 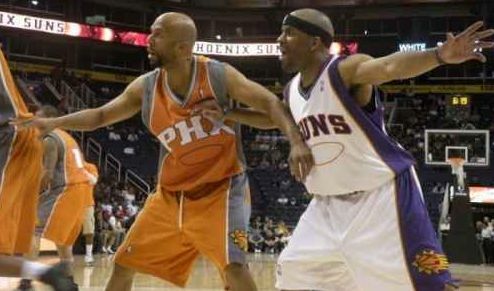 Of course when they get on the hardwood it is in good fun and it's fun to see them hoop. 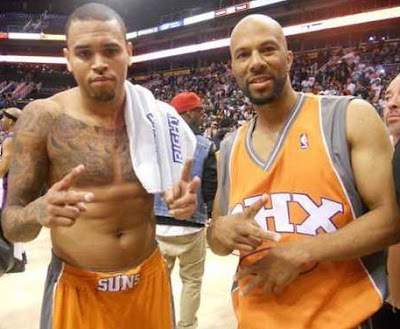 Chris Brown and Common to name a few took part in the 10th Annual Jack In The Box Celebrity Shootout in Phoenix. Common doing his best to box out. and Chris Brown going for a loose ball. 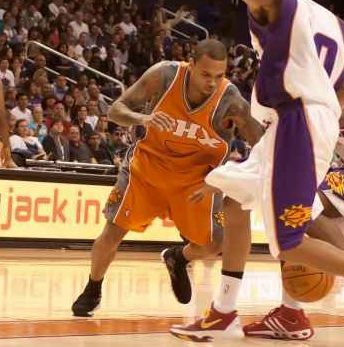 If you want more Chris Brown here is a video in which he does what he does best with the dance moves and gets "star cam" treatment, during which he grabs a rebound.